The company is in the process of trying to sell the site — still hosting a TGI Friday's — back to the Swedish city, according to Fastighetsvarlden. 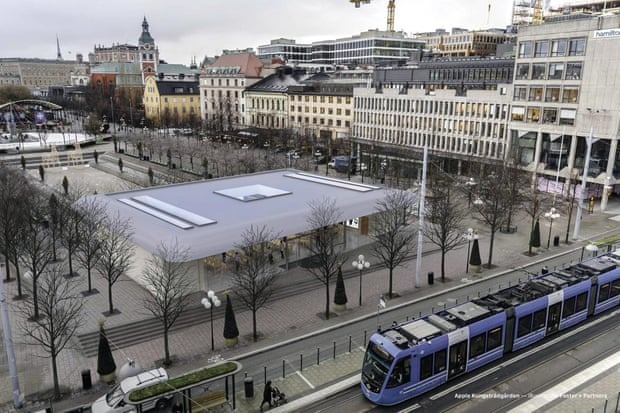 One member of Stockholm's Urban Development Committee, Bjorn Ljung, indicated that Apple is aiming for a price of 179 million kronor, or about $19.3 million — more than the 129 million kronor ($13.9 million) the company first paid. The Kungstradgarden is a historic park often used for public events, and much of the concern over Apple's plans was that they would've commercialized the space — TGI Friday's is only able to operate because of a deal specific to cafes and restaurants. City officials would've had to rezone for private retail, and go a step further, granting the company another 375 square meters around its current land.